Rio Tinto’s $2.6 billion Amrun project has achieved its first shipment of bauxite, six weeks ahead of schedule. 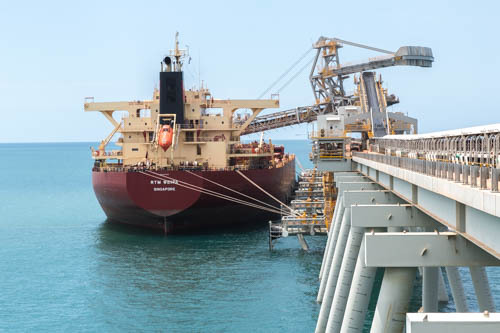 The Amrun operation will replace production from the depleting East Weipa mine and increase annual bauxite exports by around 10 million tonnes. “Bringing Amrun online further strengthens our position as a leading supplier in the seaborne market,” Rio Tinto Aluminium chief executive Alf Barrios said. During construction the Amrun development clocked up a total of $2.1 billion invested with Australian companies, including $244 million with local Cape York companies.